Family, friends and local community together.. 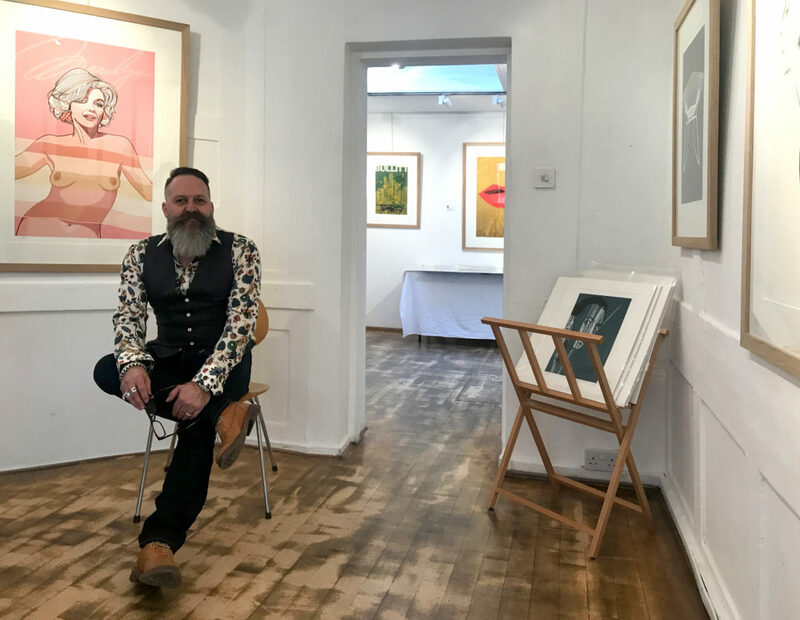 The Magazine, Website and social media feeds are run and produced by Lucinda Reddyhoff at Hoffhaus Design as well as doing a couple of delivery rounds and magazine distribution to voluntary community deliverers each month. Nick Reddyhoff at Hoffhaus Design. Nick produces and illustrates the magazine covers. Nick also helps with a couple of delivery rounds as well as magazine distribution to voluntary community deliverers each month. 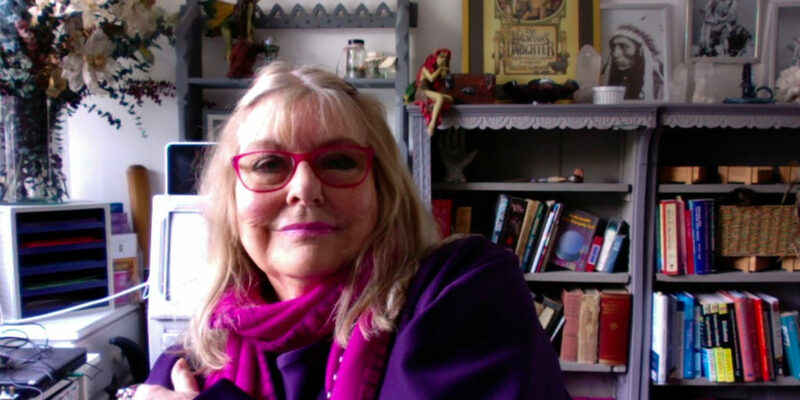 Lucinda’s mum Valerie Anckorn, contributes with creative writing features as Rustic Rose and the Roving Reporter. Ringstead local Martin Harvey shares his vegetable growing knowledge in his monthly feature as The Coastal Cropper. Some longterm advertisers also contribute regular general interest features. 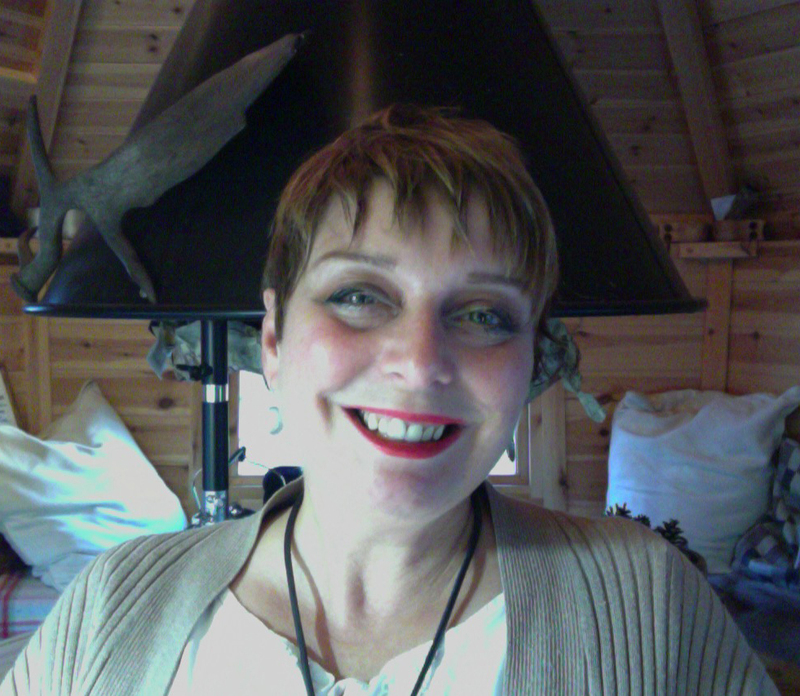 These are currently Lousie Barby of Balinis Gardening “Nature and Nurture”) as well as articles from Hayes + Storr Solicitors and Sowerby Estate Agents. 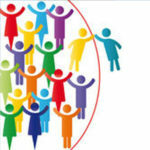 from the community which will be of general interest to the readership. 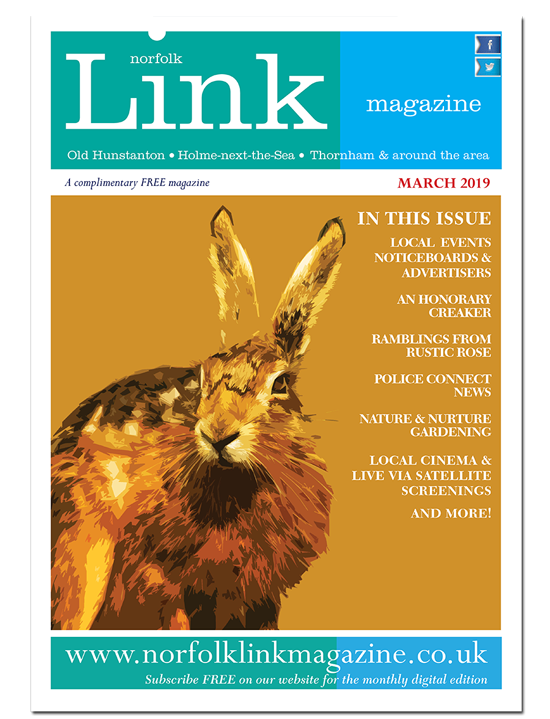 The magazine features and supports (through free of charge publicity inclusion) submitted community events, Parish Council information, community information and community noticeboard items whenever possible. 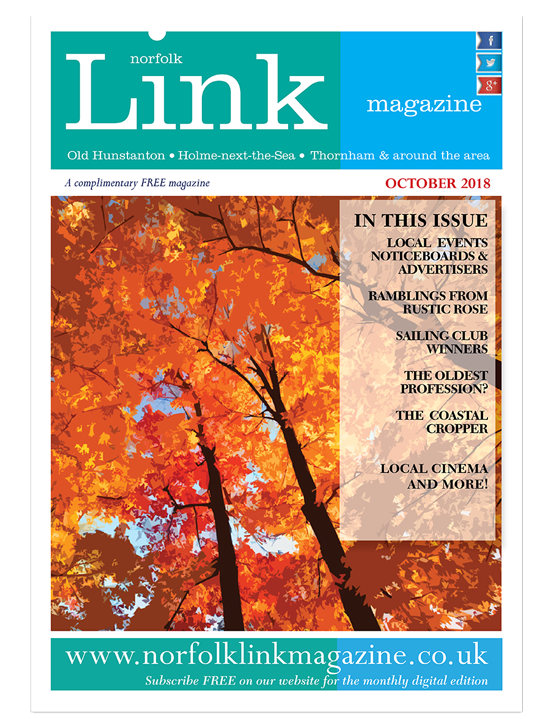 We are very grateful to our advertisers and for all the volunteers in the villages who deliver the magazine door to door. 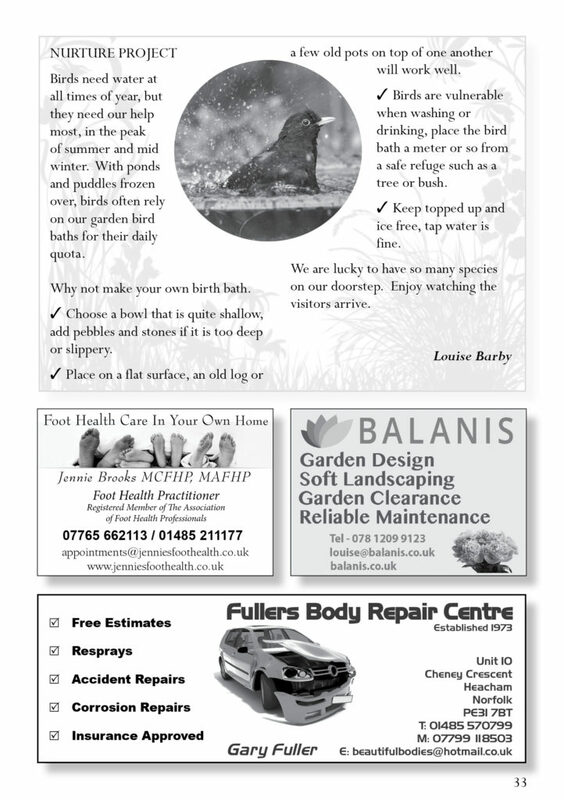 Both make it possible for us to produce and deliver the magazine free of charge to the parishes. If you would like to help and get involved with delivery please get in touch with Lucinda. 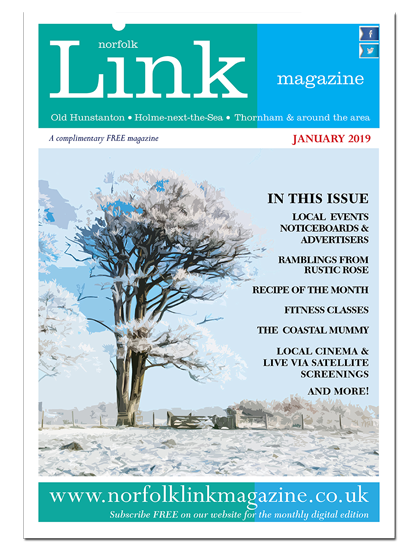 The Norfolk Link Magazine is a Village Community magazine which histoically is The Parish Magazine for the Saxon Shore Benefice. The current format includes The Rectors Letter, Church Services & information from the Registers, Local Notices, Community Information, Parish Council Notes, Local voluntary run Community Fundraisers notices and information. 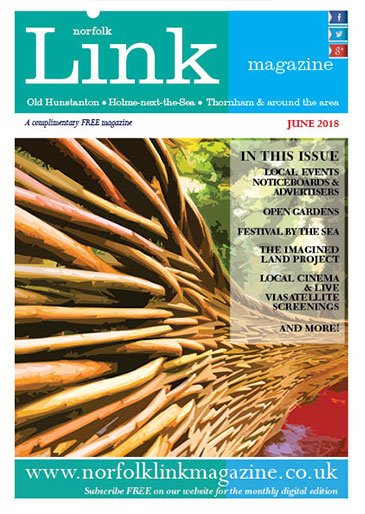 We’ve added a extra twist of Features and personality such as The Coastal Cropper, Rustic Rose, Meet a Local, Nature & Nurture, General interest articles from Solicitors and more which makes the magazine interesting to visitors and readers from outside our area too! – this means more coverage for your community events and especially our advertisers, who make this publication possible. 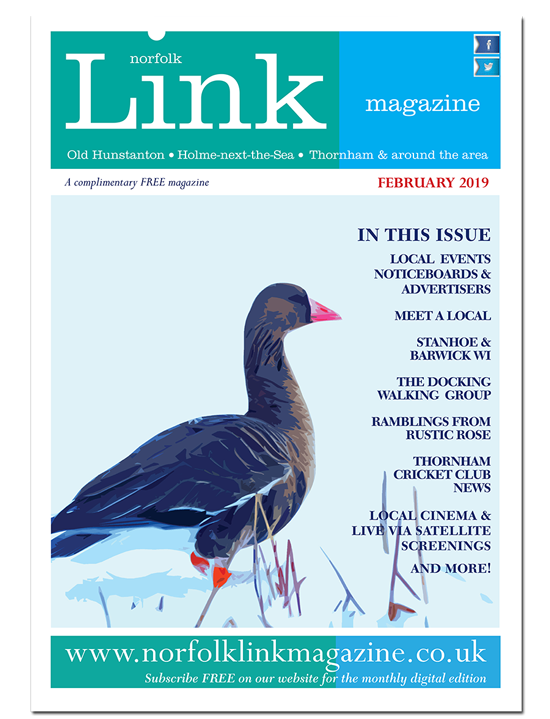 Covering Old Hunstanton, Holme-next-the-sea, Thornham, as well as Ringstead, Titchwell to Burnham Deepdale and around the area and including notices and events around The Burnhams, Creakes and Wells-next-the-Sea. 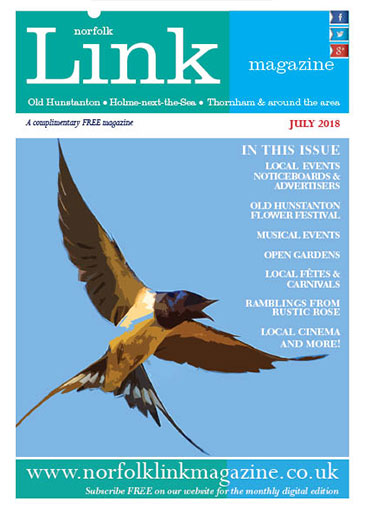 Printed copies are distributed door to door in 3 villages, plus selected door to door delivery in Titchwell, Brancaster, Hunstanton and Ringstead. 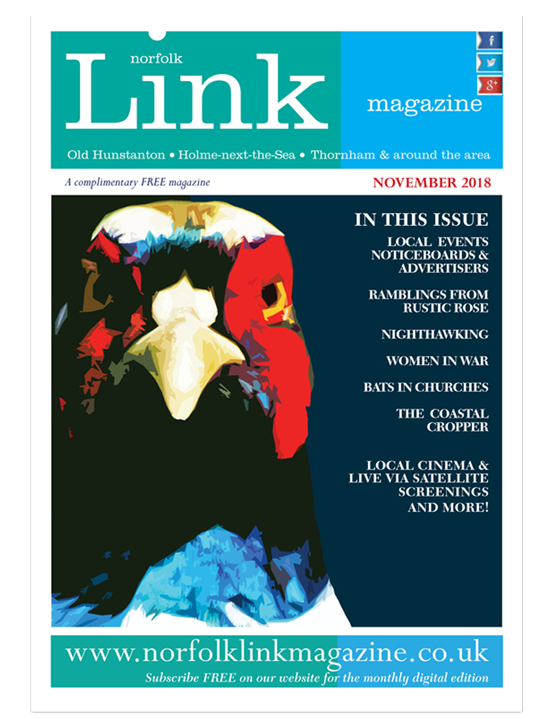 The Norfolk Link Magazine also available at selected pick up points (Hunstanton Library, Churches, Village Halls Post Offices, pubs, etc) along the coast to Burnham Deepdale. 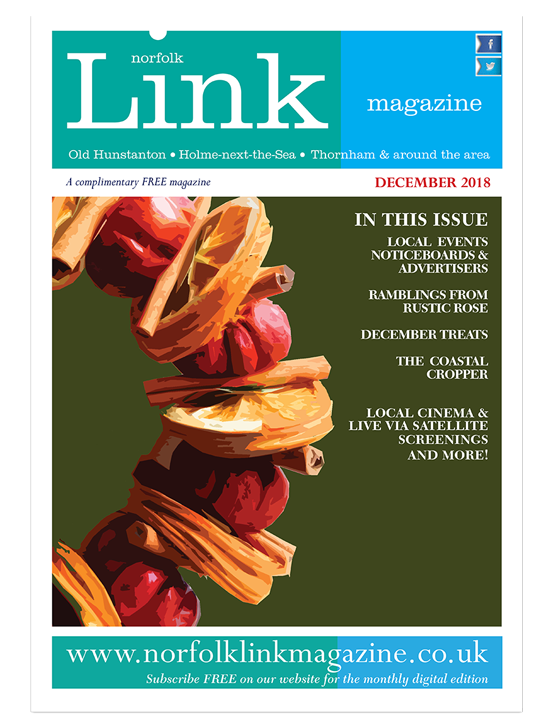 There is also a steady online registered subscription readership from around the area, visitors, or regular visitors to the area plus unregistered readership from anyone visiting the website. 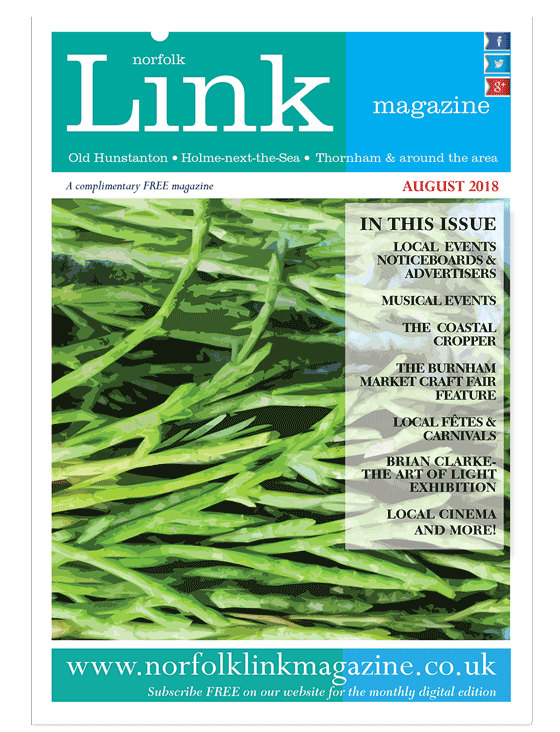 Norfolk Link Magazine reflects the views of the contributors and not necessarily those of the editor or advertisers. If you would like to read the magazines – please click on the cover image at the top of the page. 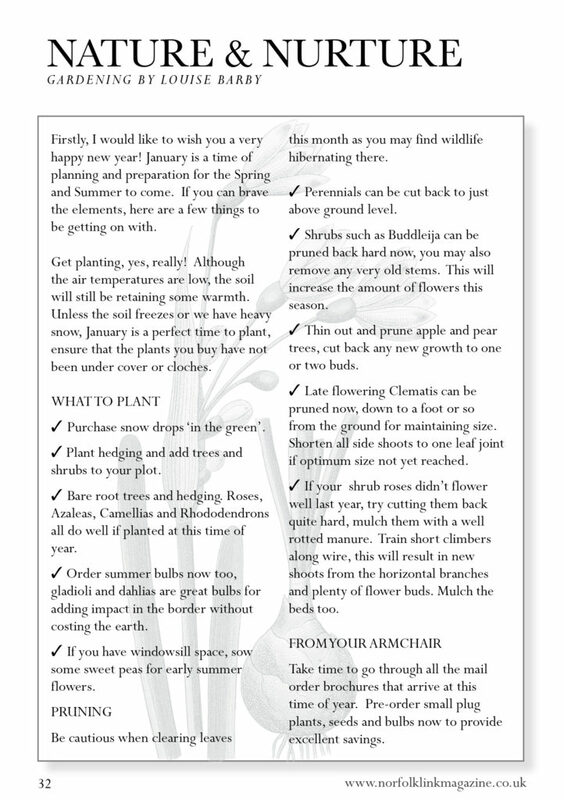 Subscribers get a monthly email notification when the magazine is published with a link to read the magazine online. 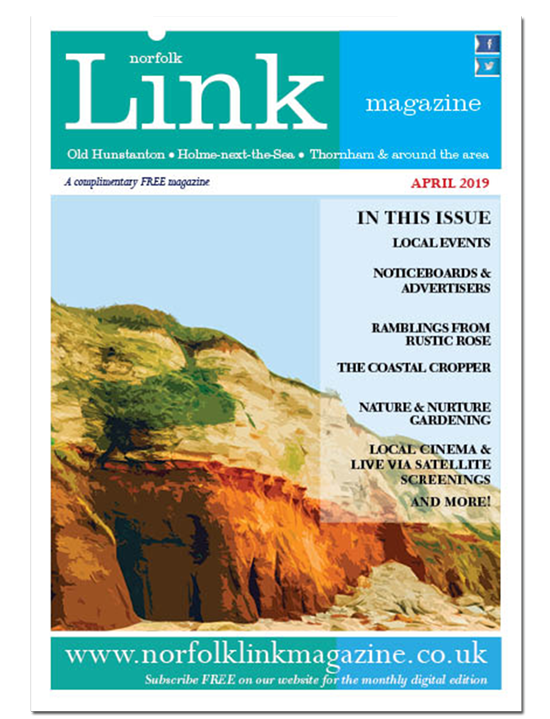 The Norfolk Link Magazine is usually Published online and Distributed during the last week of the month prior to the published cover month. Copy Date is usually 2nd Monday of the month for the following months issue.